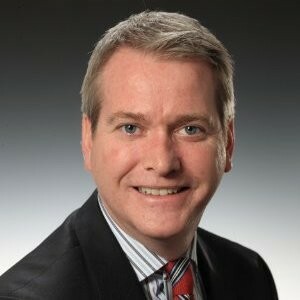 Austin, Texas — When compared to the other regions around the world, Avaya’s fourth biggest market has been slow to adopt the latest innovations, with an enormous amount of Nortel devices still running in brick and mortar stores and businesses across Canada, according to David Robertson, managing director and president of sales for Avaya Canada. But that’s just fine, he said, and when they do decide to upgrade, Robertson is confident they won’t turn to competitors. The Avaya (Nortel) CS1000 communication servers (CS1K), a more than two-decade old communications workhorse that continues to dot the Canadian landscape, is a prominent example of a legacy system still floating around in Canada. But with an end-of-life fast approaching – currently slated for April 9, 2019 – many businesses, if they haven’t already, are having to seriously consider moving over to a new system, specifically Avaya Aura or Avaya IP Office, both of which use the same contact centre software as the CS1K. David Robertson, Avaya’s Canadian managing director and president of sales, says partners are helping tell Avaya’s successful migration stories across Canada. Galib Karim, vice-president of Americas for Avaya, said they’ve been very successful incentivizing customers to transition from an on-premises model to a cloud-based consumption one, providing them them the option to replace their systems without having to spend a bucket-load of capital. Improved hybrid options have also gained traction, he added. The announcements made by the company at Engage this week, said Karim, especially around private cloud, will likely turn heads among customers who’ve continued to have reservations about making the shift. Linamar,a Canadian manufacturing company is on its way to replacing its CS1K and legacy switches across its 60 global locations. The process is nearing completion, according to John Biel, the company’s global network manager, with 55 of those locations now using IP Office and Session Manager, Avaya’s routing and integration tool. Biel said one of Avaya’s Canadian partners, Combat Networks, helped with the transition. “They’ve understood how we work for many years, since about 2010 or 2011. They understand that we’re very cost driven and as a result they work very well with us, and they work with us from a support role, since we handle a lot of the installations on our own,” he said. Linamar’s story is a microcosm of Avaya’s efforts in Canada when it comes to migration, said Robertson. “We have an incredible story to tell about our next gen offerings, and we’re not talking about a rip and replace method,” he explained. Additionally, Avaya’s introduction of the Avaya Device Adapter last May, played a big part of this story. The adapter allows phones working with CS1K to migrate to Avaya Aura – Avaya’s open IP telephony foundation on which Avaya delivers UC solutions – without having to worry much about the cables and hardware. Robertson said he’s doubled the front line sales organization in Canada, and the Canadian business overall is experiencing significant growth. When it comes to research and development team, he admits it’s slimmed down in recent years due to its ongoing focus on Avaya’s (or more specifically, Nortel) legacy products. Currently there are approximately 200 people working in that department in Canada. This means Avaya is also shrinking some of its R&D centres in Canada, while exploring opportunities to build new ones in talent-rich regions such as Toronto. Local reporting from Belleville last December indicated the closure the closure of an Avaya office in Belleville, but Robertson told CDN that Avaya has instead decided to make the office smaller, allowing for employees to work remotely.